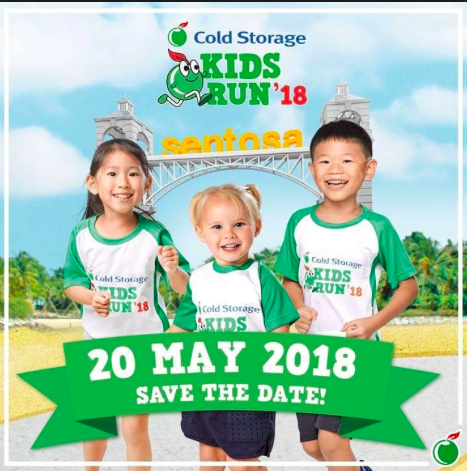 Cold Storage Kids Run 2018 | JustRunLah! 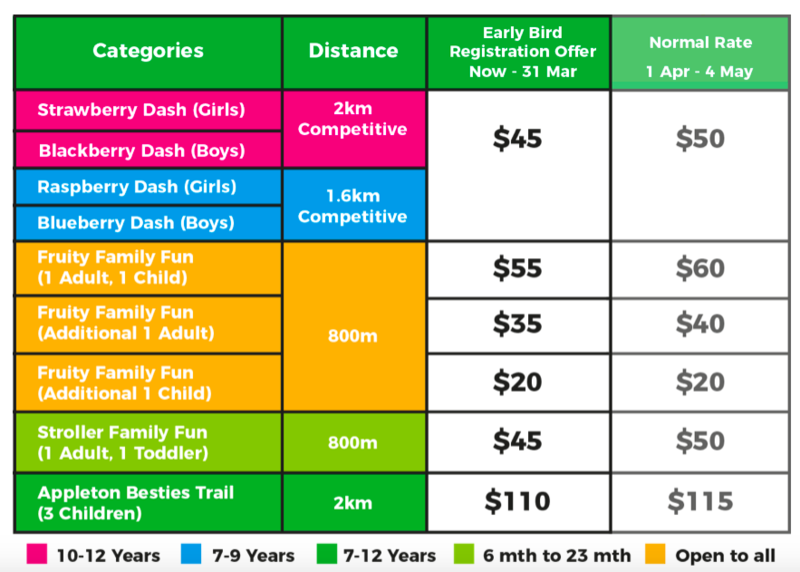 Singapore’s first kids-focused running event is back on 20 May! 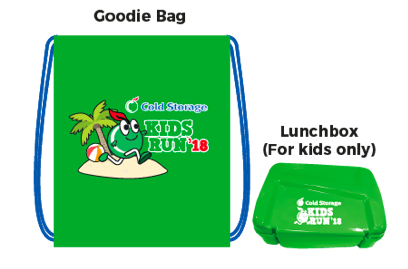 Cold Storage Kids Run does not just provide seasoned child runners a chance to expose themselves to competition – but also serves as a stepping stone for first time runners, introducing them to the world of healthy and active living. The 2018 edition of the run will also be accompanied by other fringe activities to help the kids unlock their potential. Who knows, they might pick up a new hobby or two! Join us on 20 May 2018 at Palawan Green, Sentosa! My son would love to run the Blueberry dash. He was born in 2011 and will turn 7 in December but he’s already run longer distance than kids dash, he doesn’t want to run the 800m kids dash anymore. Since he’s in his 7th year, can he take part in the Blueberry Dash?